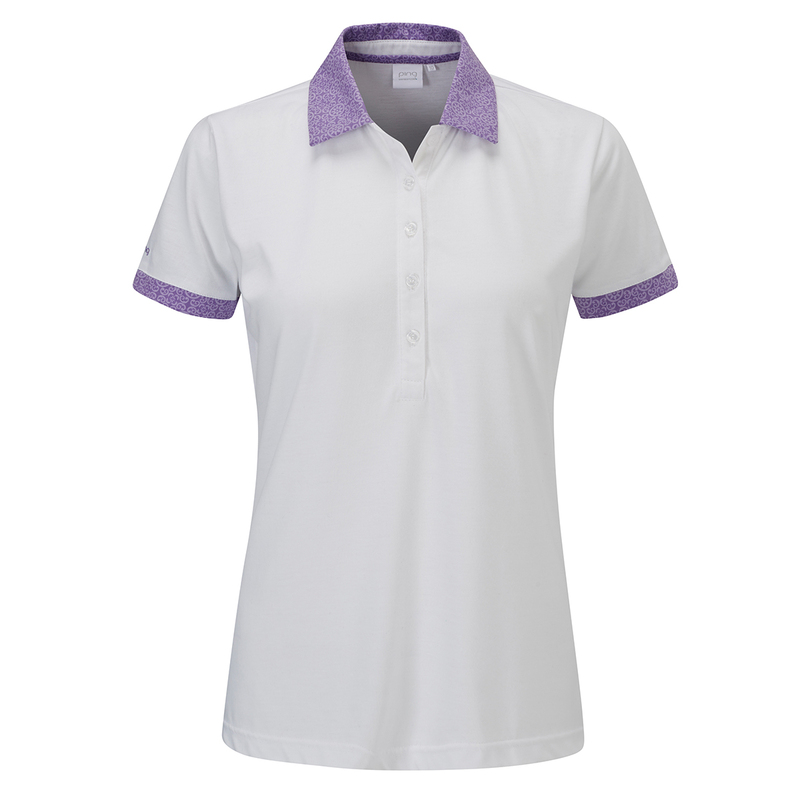 Keep cool when the pressure is on your game with the PING Ladies Adora Print Collar Polo Shirt. The garment has Sensor Cool performance fabric which has been engineered to be worn next to the skin, Sensor Cool moisture moving technology from PING draws excess perspiration away from the skin for exceptional comfort during your round of golf. Stretch fabrics have been added for extra comfort and to complement the athletic movements made during a golf swing. For easy care and to assist you on the course the shirt is fast drying and has a fresh guard ouder management system to keep you feeling fresh and avoid distraction. 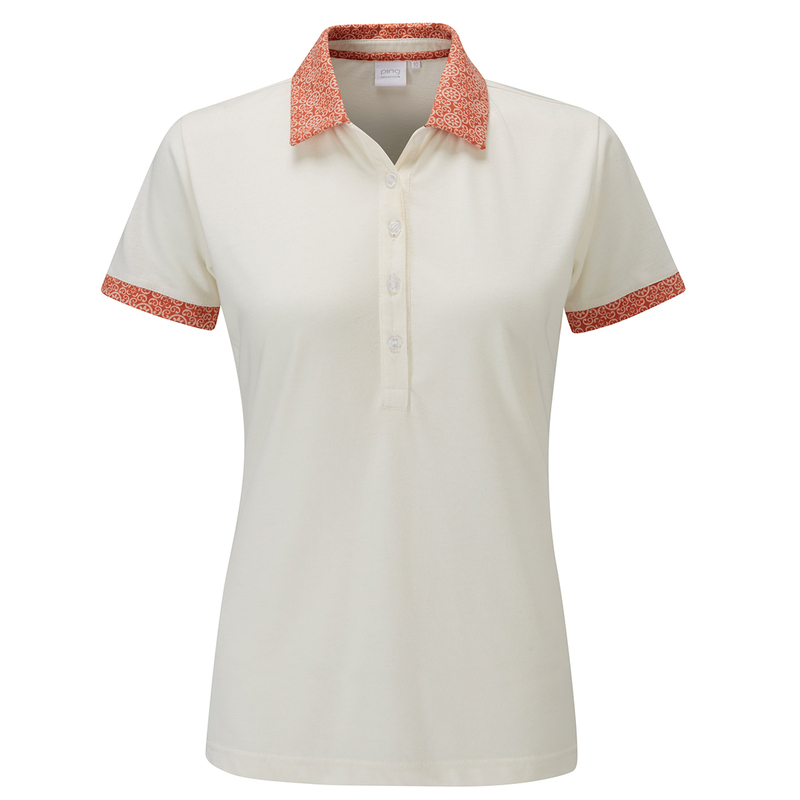 The PING Ladies Adora Print Collar Polo Shirt has a printed collar and cuff with 5 button placket which looks stunning out on the golf course.